My beans are gay. Let me explain. This morning I was messing around with Facebook Live Streaming. You know, that new thing where you point your phone’s camera at yourself and hope a lot of people will watch your antics. But I actually had a question I needed advice on from my Facebook followers. I doubted every single person who told me that. Somehow, I felt my beans were better, special, that they’d retain their perfect, flamboyant, outrageous shade of purple. But sadly, as they blanched in the water, the color blanched from them. They ended up looking like pedestrian, run-of-the-mill, supermarket-variety beans. Bottom line: Royal Burgundy Bush Beans are nothing more than queeny poseur green beans in colorful drag. So, here they are. My blush-less, colorless, deeply discouraging Royal Burgundy Bush Beans. As far as taste, they were marvelous: sweet and a bit earthy. I served them with a drizzle of chive blossom vinegar and a spritz of sea salt. But they were still green. 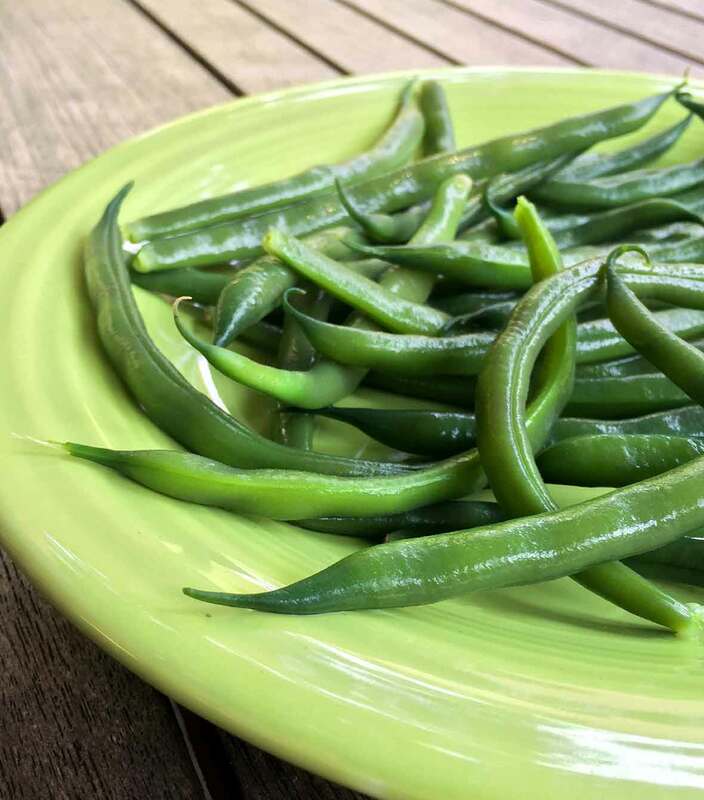 Tell me: How do your serve your traitorous purple (read: green green beans)?